James Tilghman, the son of Richard Tilghman and Anna Maria Lloyd, was born at his family’s estate, the Hermitage, on the Chester River on Maryland’s Eastern Shore. After studying law, he began his practice in Annapolis and in 1743 married Anne Francis. 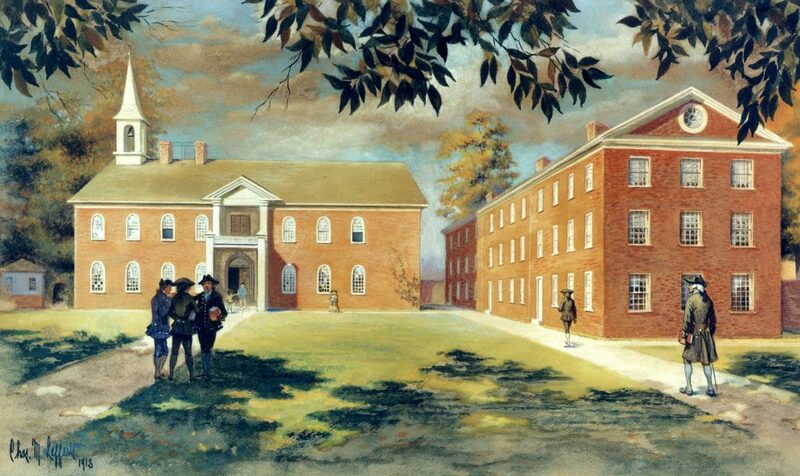 Tilghman moved to Philadelphia around 1760. In 1765 Tilghman was named by John Penn as secretary of the Proprietary Land Office, succeeding Richard Peters and William Peters. He was already familiar with the land business through Lord Baltimore, proprietor of Maryland, and is said to have greatly increased the efficiency of Penn’s land office. Additionally, Tilghman was elected to the Philadelphia City Council in 1764, and subsequently to the Pennsylvania Provincial Council in 1767. He held the latter position and that of Land Office secretary until the outbreak of the American Revolution. At the outbreak of the Revolution, Tilghman at first favored a compromise between England and the colonies; he called for a repeal of the Acts of Parliament so abhorred by colonists at the same time he denounced the Boston Tea Party. He was regarded, however, as a Loyalist and placed under arrest by Pennsylvania state authorities until 1778. Tilghman was a trustee of the College of Philadelphia (now the University of Pennsylvania) from 1775 to 1788, when he resigned. He died at his family home in Maryland in 1793.